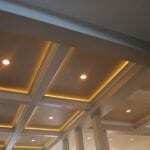 Let our commercial electrical rewiring services give you peace of mind your building is up to date and safe. There are several situations in which your Mt. 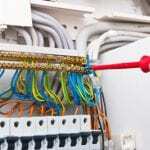 Holly, North Carolina business might require our commercial electrical rewiring services. For example, you might need a dedicated circuit or additional circuits to facilitate an expansion or added equipment, or the wiring is aging and is no longer safe or properly handling your power needs. Here at Lamm Electric, we have several decades of experience and our technicians have at least 20 years dealing with commercial electrical issues. 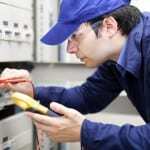 We can effectively diagnose and solve any electrical issue you may be having. Today’s businesses often have higher power demands than what a building was originally outfitted with, making commercial electrical rewiring the only way to avoid issues that can result in electrical fire or damage to your equipment. In addition, to be successful means adapting to the needs of your customers, which may involve adding new technologies to stay current. New equipment placed in a room that was only wired for office use, for example, requires the installation of new wiring. If you have an older building, it may still have a fuse box system and wiring that is not up to code. With our commercial electrical rewiring and breaker box system installation, you can have confidence that your company is up to date. We can also provide these services if you are purchasing an older building and are required to update it for code or insurance reasons. Contrary to common belief, wiring doesn’t last forever. Commercial electrical rewiring is commonly necessary in older buildings and sometimes it doesn’t even have to be really old. 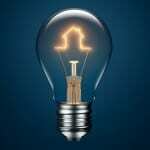 It could be a case of the wiring was ideal for a previous property usage but isn’t for your needs. Whatever the situation may be, call us today to learn about our commercial electrical rewiring services and you won’t be disappointed in the high-quality service, products, and results you’ll receive. At Lamm Electric, we offer commercial electrical rewiring services in Charlotte, Belmont, Huntersville, Indian Trail, Matthews, Mint Hill, Harrisburg, and Mt. Holly, North Carolina.